This page describes how to deploy your project to the App Engine flexible environment using a WAR archive or a runnable JAR file. Note: The JAR file must specify a main method. Select Deploy WAR/JAR File to App Engine Flexible... in the drop-down menu. Select the Account you want to deploy with, or sign in with a different account. 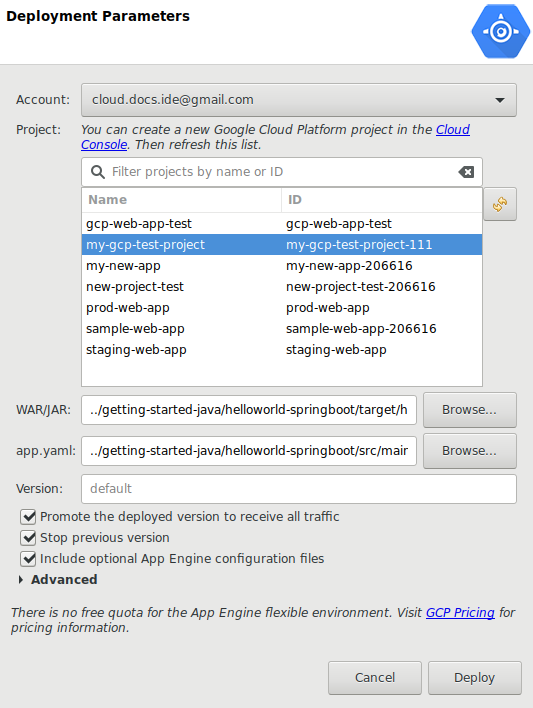 In the Project list box, select the Google Cloud Platform project you want to deploy to. In the WAR/JAR field, click Browse to select the archive file. In the app.yaml field, click Browse to select your app.yaml file. 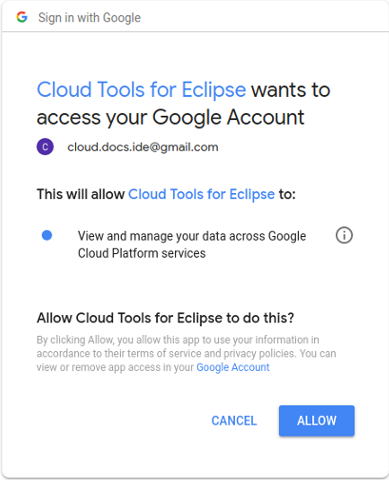 After a successful deployment, Eclipse opens an internal browser connecting to the deployed app.